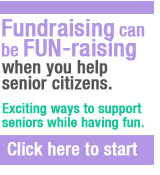 Sponsor Seniors' mission is two-fold: to provide a compilation of information that is needed to service senior citizens with their most pressing needs. These include but are not limited to government portals for Social Security, Medicare and Medicaid, medical information, drug and pharmaceutical information, health information, transportation information, housing information, financial information and retirement information, etc. It is also to provide a portal for senior citizens and their community to submit bequests for help and financial aid. Publishing these stories is optional and must be authorized by the recipient who would benefit from the bequest being granted by donors, corporate sponsors, philanthropists and grants received and delegated to fill those requests. If the recipient of such benefits does not want the bequest published, their bequest when approved will become part of the general funds needed category. Sponsor Seniors' vision is to help all seniors by engaging the community in which that senior lives including their family and friends and anyone who is moved, touched or inspired by their story. We all grew up learning that we should honor our parents and respect our elders, we would like to restore that hope and dream for all Americans. We hope to include other needs that senior citizens may have in remaining independent. We hope to incorporate cost of living, food and companionship in the near future as these services are needed for continued well-being for all. Browse our site; add it to your favorites; put it on your desktop for easy reference; make it your home page. Visit us often and share it with your friends on FACEBOOK, TWITTER, and any other social media sites. As we all get older, wouldn’t it be nice to have things made easier? Sponsor Seniors is providing that help.